As the functionality, affordability, and reliability of cloud accounting applications continue to improve, it is time for your small business to consider migrating your current accounting requirements to the cloud. Most importantly, your small business wants to spend its precious time focusing on core objectives not accounting, and cloud accounting will reduce the time and cost of performing this necessary business function. Cloud accounting offers a wide range of significant benefits for your small business as described in the following section. Since all your company’s financial data will be living on the cloud, authorized users will be able to access it with smart devices from anywhere at any time as long as they have a secure internet connection. In addition, multiple users will have the ability to collaborate on more efficient and useful accounting activities. Your team members will be able to produce and update spreadsheets and other documents simultaneously. Unlike traditional accounting software, cloud accounting applications update your company’s financial information automatically and provide financial reporting in real time. There is no lag in reporting or in visualizing financial results and fewer errors take place because of the reduced amount of manual entries. Also, your accounting software will be updated automatically with no need to worry about manual inputs. Companies using cloud accounting require less initial server infrastructure to store data, don’t have to purchase new software or licenses, and don’t have to employ staff to maintain that portion of their IT requirements. These benefits all normally result in lower costs for company accounting needs. Although many companies fear the consequences of their data being hacked in a cyberattack on cloud accounting providers, the risks are generally greater in a non-cloud working environment. For example, aside from a cyberattack on your company’s less well-defended network, data loss can easily occur from equipment malfunctions, theft, or a man-made or natural disaster impacting your location. 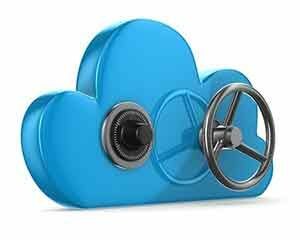 Since cloud providers and cloud accounting companies realize their entire businesses are in danger if they are damaged by security breaches, they spend a lot of time, effort, and money to make sure they are well protected. Access to data in the cloud is encrypted and password-protected and the network is protected by firewalls, filtering, and additional layers of security. In addition, cloud accounting providers offer robust backups of all sensitive financial information that can be quickly recovered and restored in the event of a manmade or natural disaster affecting your company’s location or operations. Cloud accounting software will also easily integrate with other cloud-based tools. With this greater integration of data across a number of different platforms, companies can more efficiently and effectively carry out a range of business operations. Although the majority of small businesses would benefit from moving their accounting functions to the cloud, there are still drawbacks and issues to consider before making the switch. Although the gap will continue to lessen as cloud-based technology improves, desktop accounting programs are still more feature-rich and powerful than cloud accounting solutions. If your company has complex or industry-specific accounting requirements, it may still be worthwhile to utilize the functionality and power of traditional accounting software. 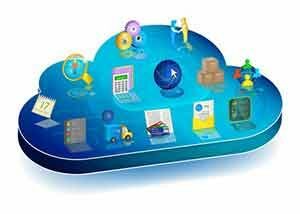 Cloud accounting requires a fast and reliable internet connection in order to perform its functions. Desktop programs maintain their robust functionality without the requirement of a fast internet connection or any connection at all. Desktop accounting is normally a one-time expense until you need to upgrade to the newest version. In contrast, cloud accounting normally costs $20-$40 per month depending upon the services you need. At this price, your company will surpass the one-time cost of accounting software after about a year and will then have to continue paying your monthly fee. In addition, if your company’s accounting needs do not require all the advantages of cloud accounting (e.g. in your company only one person needs access to your accounting information and it’s not crucially time-sensitive) and it is more cost effective to use desktop software, then it wouldn’t make sense to move to cloud accounting. -Additional training is necessary for new users. This is worth noting for those companies that have traditionally only had one person responsible for their accounting requirements. -Problems with getting sufficient technical support help. This can be especially problematic with some bargain cloud accounting programs that do not offer enough help desk support for their customers. Intuit Quickbooks has dominated the small business accounting software market for so long, it’s hard for some businesses to imagine using anything else. Quickbooks is well-represented in the cloud offering customers two cloud accounting options: Quickbooks Online and Quickbooks Hosted, a hybrid option where end-users can have their licensed copies of Quickbooks Desktop installed on servers at an approved remote hosting facility. As dependable as Quickbooks is, there are other cloud accounting options that your business should evaluate. Some leading competitors to Quickbooks include: Xero, FreshBooks, Zoho, GoDaddy, the Sage Group, Kashoo, the Activity Group, and Free Agent. There are also free or inexpensive cloud accounting app options available including Wave and OneUp, which was designed as a mobile first app. When your company is considering migrating to one of the cloud accounting options above, we stress that you experiment first with the new option(s) before switching over to ensure that it is fulfilling your company’s accounting needs. Many cloud accounting companies offer free trial periods or money-back guarantees, so you should take advantage of these options to make the best decision for your company. In all stages of the decision-making process, make sure you consult with a trusted IT partner like Network Depot. There’s no substitute for experience and your IT partner can offer you plenty of wisdom gained from their knowledge of what cloud accounting options work best to meet the specific needs of small businesses like yours.